I'm seeing an issue when viewing certain people's profiles where, when I start scrolling down, before I get past their pinned toots, the app hangs. 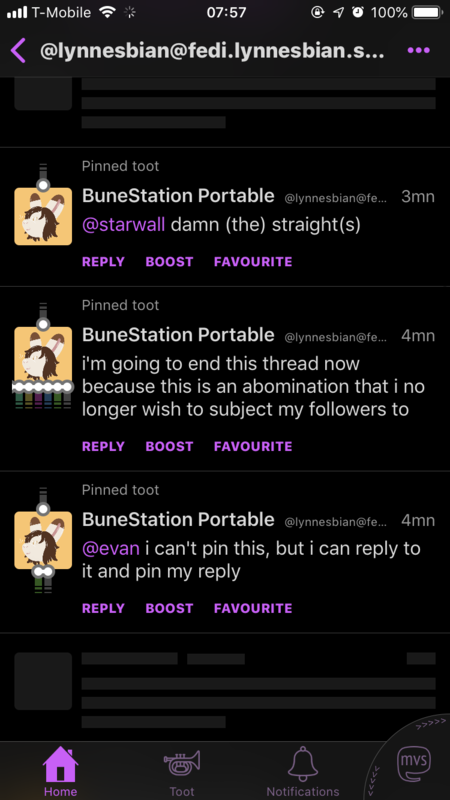 One such user I'm seeing this with is @lynnesbian. I'm not sure how to replicate it on other accounts or devices, but it is 100% replicable for these certain users on my device. Right when the app hangs, a placeholder toot scrolls into view (see screenshot). The scroll view halts, and the app stops responding to any input. If I keep trying to scroll, it will occasionally jump down a couple times, before crashing. I don't feel it's terribly urgent that I be able to view these profiles on my end---in fact, I've been seeing this for a few months. I'm more interested in getting to the root of the issue. I can't seem to reproduce it. Have you tried deleting the app and reinstalling?